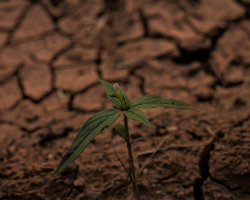 Being familiar with the challenge of drought, these two small Mediterranean countries are all too aware of the impact of climate change on water resources, as well as the health issues poor water sanitation can cause, such as water-borne diseases. Having developed multifaceted plans, they are now implementing intersectoral interventions to ensure the availability of sustainably managed water for their whole populations. These measures seek to increase the capacity of the countries for, and resilience in, improving response to climate-related emergencies, ensuring healthier and more sustainable urban environments, decreasing the burden of disease linked to environmental factors and ultimately protecting population health from the effects of climate change. This approach is in alignment with the outcomes of the Fifth high-level meeting of small countries: working together for better health and well-being for all, during which the participants discussed their national health agendas and progress made towards achieving the United Nations Sustainable Development Goals (SDGs), including SDG 6 on clean water and sanitation, SDG 13 on climate change, and the WHO-led SDG 3 on good health and well-being for all. The current initiatives in Cyprus and Monaco to this end serve as an inspiration to the other countries participating in the Small Countries Initiative – Andorra, Iceland, Luxemburg, Malta, Montenegro and San Marino – all of which have committed to enhancing intersectoral and multilateral cooperation and coordination and supporting each other in combatting the effects of climate change. Further information has been made available online for those wishing to learn more about the actions being implemented in Cyprus and Monaco.